On the Road Marked With Suffering . . . How Will You Respond? Come rain or shine, hardship or ease, confusion or clarity, worship is always a choice. But what does it look like when worship meets suffering? How can God be good when it seems the world is collapsing around you? In this inspiring book, Matt and Beth Redman draw on their experiences to explore how to offer praise even in the face of hardship and pain. Focusing on the psalms, they reveal how difficult or tragic circumstances, and the choices you make, can propel you toward God or away from him. Learn how to weather the storms of life with a cry of "blessed be your name" on your lips. Previously published as Blessed Be Your Name. Now includes end-of-chapter questions for personal reflection or group use. Crawling through an air duct in Queens...spending all night alone in an African jungle...that's normal for teenage spy Hadassah Michelman. She wants to join Revelation Special Ops, a Christian organization that works to rescue kids from modern slavery. Hadassah's life is about to get a whole lot crazier. 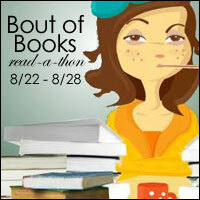 Weekend Wrap-Up & Bout of Books Sign-Up! !